Can You Get a Canadian Work Visa If You Have a DUI? A Canada Work Permit, also referred to as a Canadian Working Visa, allows a foreign skilled worker to be employed in the country on a temporary basis. If you have a DUI arrest or conviction on your record, however, you may not be able to come to Canada to work even with the correct visa. Criminal inadmissibility impedes a foreign national's eligibility across all Canadian immigration programs, and unless you have special entrance permission, you may not be able to work in Canada. Foreign nationals interested in working in Canada can overcome their criminal inadmissibility by obtaining a Temporary Resident Permit or Criminal Rehabilitation. A Temporary Resident Permit or TRP enables an individual to overcome their criminal history for a limited amount of time, and can be valid for up to three years. Criminal Rehabilitation Canada allows people to fix their inadmissibility issue once and for all but takes a minimum of six months to acquire which may be too long for many people who have received a job offer in Canada. Criminal Rehabilitation is also only possible for people who have finished their probation and other sentencing more than five years prior. Need a Canadian Work Visa but have a DUI? Contact us now for a free extensive consultation! A Canada Temporary Work Permit allows people who are not Canadians citizens or residents to be employed in the country. Canadian work permits may be a stepping stone to a more permanent solution such as permanent residency via the Federal Skilled Worker (FSW) or Canadian Experience Class (CEC) immigration programs. If you have a DUI, DWI, or any other drunk driving conviction on your criminal record, however, you may not be eligible for Canada Express Entry or any related programs even if you have received an Invitation to Apply (ITA). Even Canadian residents already working in Canada can run into issues at the border if they become inadmissible due to criminality. A Canadian Student Visa allows a foreign national to study in Canada. If you have been charged with impaired driving, however, you may not be able to go to school in Canada unless you obtain permission for criminal admittance from the Government. Criminal inadmissibility can overshadow a Canada Student Visa, and without a Temporary Resident Permit or Criminal Rehabilitation, a person may not be able to travel to the country to go to school. Even if you have been accepted into a Canadian university or college and have an official letter of acceptance, criminal inadmissibility will prevent a Canada Study Visa from being approved so it must be fixed before an individual will be allowed to study in Canada. If you have received an excellent job offer from a Canadian company, or will be getting transferred to Canada by your current employer, you may need to deal with your criminal inadmissibility issues immediately. An experienced Canadian immigration attorney can help you apply for a Temporary Resident Permit very quickly, and can potentially guide you through a technique called "flagpoling" which may enable you to apply for DWI entry permission at a Port of Entry in order to get approved as fast as possible. If a person has only one misdemeanor on their criminal record that is not considered serious criminality in Canada, they may be considered "deemed rehabilitated" ten years after they finish their sentence and could be admissible to Canada once again at this point. If a person has a felony conviction or two or more misdemeanors, however, they may never automatically become admissible to Canada without explicitly applying for permission. Impaired driving is considered a serious criminal offense in Canada. Consequently, a single intoxicated driving violation (including wet reckless driving) can render a person criminally inadmissible to Canada for life even if it was only a misdemeanor. This means a criminally inadmissible person with one DUI might never be able to work in Canada and could risk getting denied entry at the border even 20 or 30 years later if they do not apply for a TRP or Canadian Rehabilitation. In addition to driving under the influence of alcohol (DUI) and driving while intoxicated (DWI), the following alcohol-related driving infractions can render a person criminally inadmissible to Canada and therefore ineligible for a Canadian Work Visa without special permission: driving while ability impaired, operating a vehicle under the influence, operating while intoxicated, and driving under the influence of drugs. Other non-drinking and driving related criminal arrests and convictions, such as possession of illegal drugs, assault or battery, and theft can also affect eligibility for Canadian immigration including for NAFTA work permits and student visas. Individuals participating in a deferment, diversion, or ARD program may also require a Temporary Resident Permit or Rehabilitation in order to get a Canada Employment Visa. If you want to move to Canada to work but have any criminal history at all, your immigration application could be flagged by Government staff. Whether you are an American with a DUI doing an intra-company transfer to Toronto, an Australian with a drink driving offense hoping to obtain a Working Holiday Visa so you can work in Banff, or a Brit with a shoplifting offense hoping to get a Holiday Visa to work in Whistler, it is advisable to speak with an immigration professional before submitting paperwork. 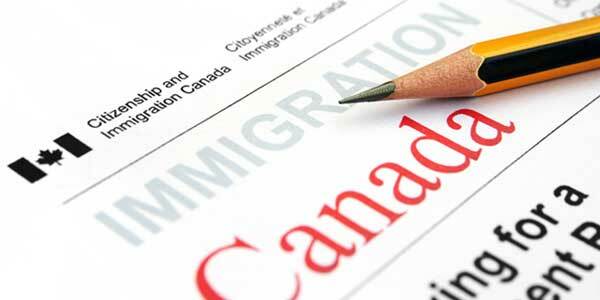 Worried about being refused a Canadian Work Visa or Work Permit because of a DUI? Call us today for a free assessment.